Join the exhibition for many years. 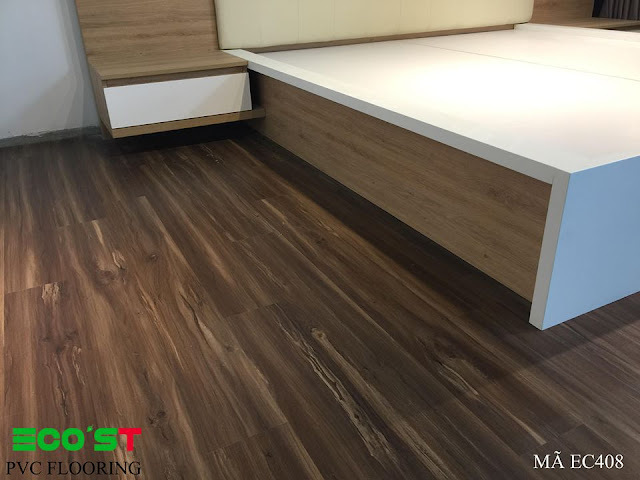 As a prestigious unit, VINAD Construction and Trading Limited Company - one of the units operating in the field of manufacturing and importing interior decoration materials, continues to introduce to customers products high-quality segment in the plastic flooring industry, especially the Ecost resin flooring. With many outstanding features, the company has attracted a lot of customers to visit, buy at the company's booth, especially many architects, designers interested in sampling in the exhibition. With many years of operation in the field of interior decoration, VINAD Construction and Trading Co., Ltd always take the criterion to put quality products on top, with many luxurious models, class, attracted many interest, appreciation from the customer. That has confirmed the position of the company in the market of plastic floor in Vietnam. With the technology that is produced and designed on the modern line of Korea, ECO'ST wood flooring floor can create the lines as real pattern and most important is not influenced by water, It is suitable for the hot and humid climate of Vietnam. It should be suitable for family, apartment, hotel, restaurant and resort .... In addition, anti-slip features, resistance against moisture high, antibacterial, anti-termite, good elasticity, limited noise suitable for use in public environment such as kindergartens, kindergartens, medical facilities, hospitals.